Opening reception: Friday, December 5, 2014 from 6-9p. 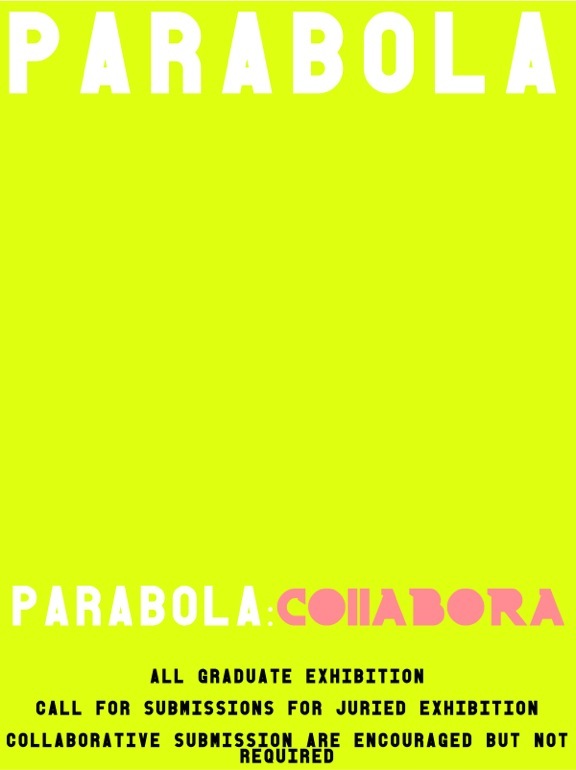 The Des Lee Gallery is pleased to announce the exhibition PARABOLA:COLLABORA. Graduate education reflects a commitment to curiosity and investigation. Parabola stands as our graduate student platform to extend our professional interests and connect with each other’s fields of understanding, production and knowledge. PARABOLA:COLLABORA is a show of our work: our research, our writing, our data, our passion. This exhibition aims to contextualize all fields of graduate study at Washington University as inherently creative fields of study.